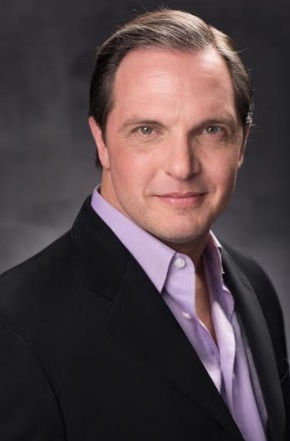 Eric Cole, PhD is an industry-recognized security expert with over 20 years of hands-on experience in consulting, training, and public speaking. As the founder and CEO of Secure Anchor Consulting, Dr. Cole focuses on helping customers prevent security breaches, detect network intrusions, and respond to advanced threats. 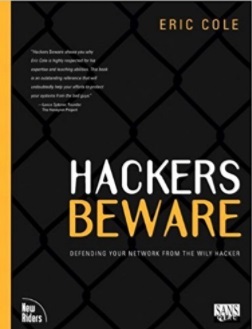 In addition, he is a sought-after expert witness, a 2014 inductee to the InfoSecurity Hall of Fame, and provides security services for Bill Gates and his family and is the author of Online Danger: How to Protect Yourself and Your Loved Ones From the Evil Side of the Internet. What I do best is think creatively and solve complex problems. I also love teaching and being able to convey complex terms in ways that people understand. Especially with teaching and expert witness work, I’m able to start with someone who doesn't understand a topic area and break it down into simple, straightforward components. So, in addition to my own problem-solving, I’m also able to help others understand what they need to do to solve their problems or make an appropriate decision. I’m a big believer in living each day to the fullest. People are going to make mistakes, but you have to learn from those mistakes, not get upset, and keep looking forward. One of my focuses is on having clear goals. Without goals and an action plan for achieving them, you're like a ship adrift on the tide. Many people talk about what they want, but they don't really have a plan to achieve it. So I'm keen on goal setting. Not that I don’t love helping other people, but I also want to achieve my goals as well. I’m aspiring to be the “Dr. Oz” of cybersecurity – the household name and renowned expert. So, when presidents, heads of companies, and governments need help in cybersecurity, they call Dr. Cole. There are many people like this in different areas, but I want to be that go-to person for cybersecurity. I believe that my biggest success to date is that I wrote the top-selling course in cybersecurity (SEC 401) and I’ve trained over 50,000 people. In the last 15 years, based on the courses, lectures, and seminars I’ve delivered, I’ve probably helped more organizations and taught more people in the classroom than anybody else, and that, to me, is a huge, success. Like most people, I’ve had many of those! If you don't have challenging moments on a regular basis, you're probably not pushing yourself hard enough. But I would say my most challenging time was when my father got sick and passed away. We all eventually lose our parents, but what hit me hard was that my father had always put off enjoying himself – saying that he would do things like travel and relax when he retired. Well, two years before his planned retirement, he died. I know my father loved his work and his life, but it taught me an important lesson about balance and seizing the moment, because we never know what the future holds. I have several of them, but the one I want to share is: if you don't build your dreams, someone will hire you to help build theirs. I’ve had times in my life where I helped make others rich, which I loved because I learned a lot, but ultimately, I helped them build their dreams instead of building my own. That's why, several years ago, I decided to focus 100% on building my company because that's my dream. It’s hard to narrow this down to just one. Of course, for anybody who works in computer security Bill Gates and Steve Jobs come to mind. It’s truly amazing what they've done and accomplished. Also, since I'm a believer in being your best self, motivational business leaders like Richard Branson and Tony Robbins come to mind. Both have built multiple billion-dollar brands. I have a long list of people that inspire me, but those would probably be the key ones. Also a difficult choice, but right now it’s South Beach, Miami. When I need time to think, rest, and unwind, I’ll go down there for a couple days, get a luxury suite overlooking the water, and soak up the vibes there. Mostly, I just stay in the room and use the time to think, escape a little, reboot, and focus on what I need to do next. I’m not overly attached to physical products or items, but I’m pretty fond of my computer and my books! But there aren’t really any “things” that just I have to have. I hope, like most people, I put more value on the people in my life -- my kids, my friends, my employees. I do have some nice things, but one particular physical object isn’t more important to me than another. Cybersecurity. I am passionate and obsessed with making cyberspace a safe place for live, work, and raise a family. I don't have a “job” because I love what I do, and it's cybersecurity. I balance that passion with the other love of my life, and that’s my kids. Even though work sometimes takes me away from them, I spend as much time with them as I can.